Chimney caps are like the topper on a Christmas tree. However, unlike a Christmas tree topper, a chimney cap is much more than decoration. 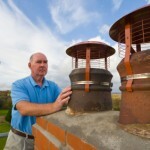 They are vital organs to a chimney that should be well taken care of and replaced when needed. Chimney caps come in many different designs, shapes and sizes. Just choosing the right one can be a chore sometimes. Generally, chimney caps are made out of some kind of metal whether it is copper, stainless steel or galvanized steel. Some are better quality than others and some look better than others. No matter which type of chimney cap you have, it should be inspected regularly and replaced when necessary. Inspection of the chimney cap should occur regularly. If the cap is gummed up with creosote or coming loose from the chimney, then it can hinder the proper functioning of the chimney or allow unwanted things into the chimney liner. The first thing to inspect is how securely the cap is attached. Generally, on caps that are screwed into the chimney crown, coming loose should not be much of a problem. However, if they were not installed correctly and with the right kind of masonry screws, then the existing screws may be coming out and the chimney cap may need to be secured in place again using the correct methods and materials. The next thing to inspect is the assembly of the chimney cap. Overtime, whether it is due to the weather, to the heat of the chimney or to animals, parts of the chimney cap may be coming loose. The metal top of the cap could have warped over the years and could be pulling away from the sides. If this is the case, then it should be repaired or replaced. 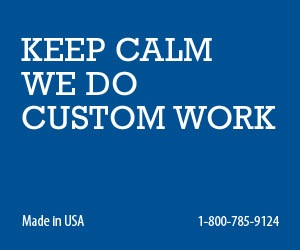 Sometimes, tightening or adding screws may fix the problems. Another thing to look for is heavy rust. This should not be an issue on stainless steel chimney cap or copper chimney caps. However, the galvanized steel caps, which are of lower quality, will eventually begin to rust. These caps are usually painted black with heat resistant paint, which will help delay the rust, but, overtime the paint will start to crack and peel and rust will begin to set in. The best thing to do for this is to replace the chimney cap, preferably with a stainless steel cap. Next, you should ensure that the metal grating or mesh is in excellent shape. Just because this netting is there to keep bird and animals out, doesn’t mean that the animals won’t still try to get in. Hopefully, that netting will be in good shape when a pesky squirrely starts pulling at it. If not, then it will eventually work its way in to the chimney liner. Also, creosote buildup can occur on the netting which can stop the air flow and hinder the chimney draft. Even just a little bit of creosote should be removed from the netting. On draft enhancing chimney caps with turbines, it is very easy for those turbines to get clogged up and stop turning altogether. If this is the case, the best thing to do is to replace the chimney cap. The turbines can be difficult to clean efficiently and will eventually start clogging up more and more often. If the netting on the cap is heavily clogged or separating from the rest of the cap, then the chimney cap should be replaced. The netting is one of the most important parts of the cap and should be kept in excellent condition. You never know when an animal is going to try and get in there by pulling at it. If it is weak, then the animal will be successful and you will have an animal removal specialist at your home before you know it. Any time that you have had a chimney fire, the cap should be replaced. Chances are, it will be warped up and damaged beyond any recognition if this happens and there will be no choice but to replace it. 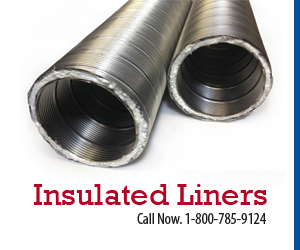 If your chimney cap is on a metal chimney liner, and you have had a chimney fire, then you will have to replace the liner as well as the cap. 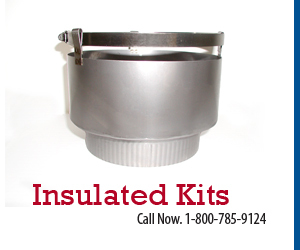 When you buy a flexible chimney liner kit, it should have the appropriate cap included. The chimney cap protects the entrance to you chimney and stops rainwater, debris and animals from find their way into the chimney and maybe even into your home. Inspect it regularly and do not be hesitant to replace a chimney cap that is in bad condition.